First unleashed to the Star Wars universe in The Force Awakens, the evil Kylo Ren is played by actor Adam Driver. 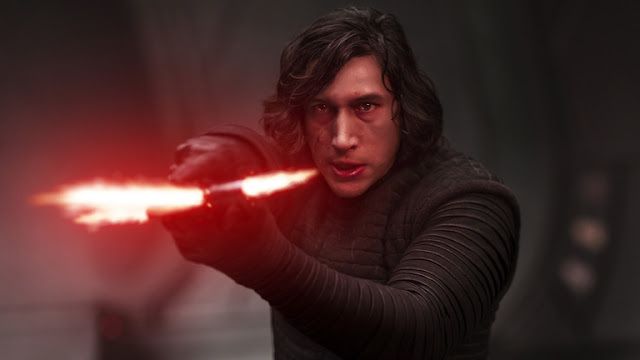 He is not a Sith Lord but is part of the Knights of Ren, taking orders and guidance from the First Order's Supreme Leader Snoke. His real name is Ben Solo, the son of Han Solo and Leia Organa - making him part of the Skywalker lineage. His dialogue during The Force Awakens was at times quite funny. "I will fulfill our Destiny"
"Nothing will stand in our way. I will finish what you started". "Forgive me. I feel it again... the call from light. Supreme Leader senses it. Show me again the power of the darkness, and I'll let nothing stand in our way. Show me, grandfather, and I will finish what you started." Kylo says this to Darth Vader's disfigured head gear that Luke burnt at the end of Return of the Jedi. "The droid... stole a freighter?" 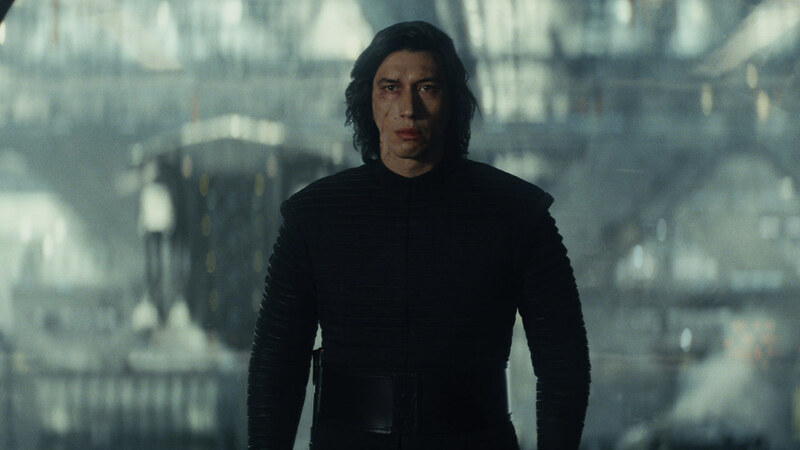 "No one will stand in our way"
"I've been waiting for this for a long time"
"Don't fight it...you know you can't"
"Show Me Again, Grandfather, And I Will Finish What You Started." "I know what I must do. I don't know if I'm strong enough to do it. Will you help me?" to his father, Han Solo just before he stabs him through the chest. Han Solo as he walks up to Kylo on the bridge yells "BEN!" and Kylo responds with "Han Solo"
"I'll destroy her. And you. And all of it." 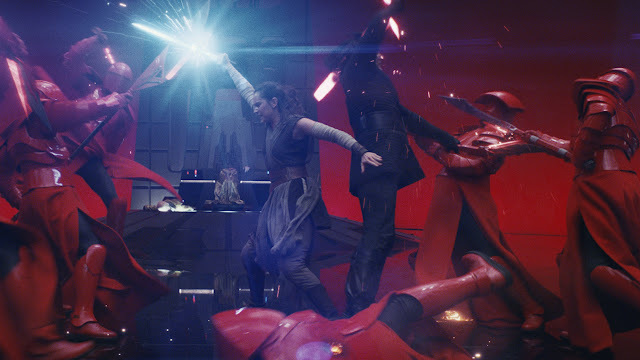 "The Empire, your parents, the Resistance, the Sith, the Jedi... let the past die. Kill it, if you have to. That's the only way to become what you are meant to be. "Do you know the truth about your parents? Or have you always known? You've just hidden it away. Say it." "They were filthy junk traders. Sold you off for drinking money. They're dead in a pauper's grave in the Jakku desert. You come from nothing. You're nothing. But not to me." "Blast that piece of junk out of the sky!" "I saw something too. I know that when the time comes, you'll be the one to turn. You'll stand with me, Rey. I saw who your parents are." What do you think about that line Kylo fed Rey about her parentage. Was it the truth? Why did Rey agree? Will JJ Abrams ret-con this back to something more mysterious? Want more quotes from The Force Awakens? Here's what Finn had to say, what Han Solo said and what Princess Leia chipped in with. And let's not forget Kylo's Last Jedi lines. There's a lot of dark humour in his lines. Like saying to Poe Dameron when he's strapped to the big metal chair, "Comfortable?" and later to Rey in the same device "You're my guest". But my all time favourite is, "The droid… stole a freighter?" in tones that imply "what nonsense are you trying to sell me now?"